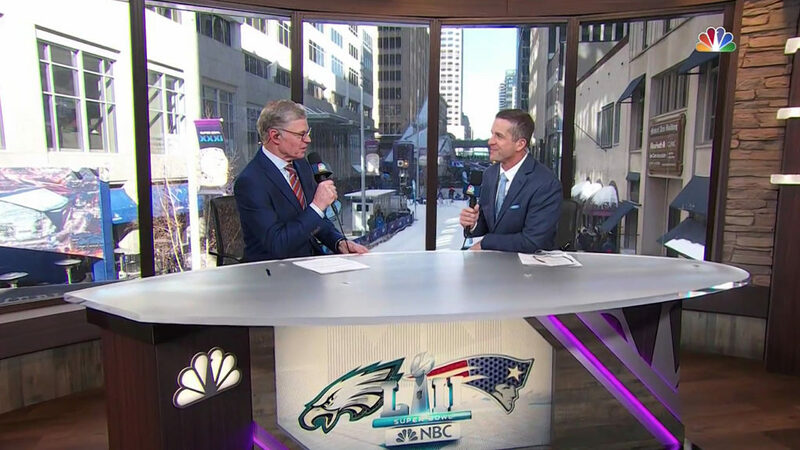 NBC’s coverage of Super Bowl LII used no less than four studio sets, ranging from a stadium backed desk to a yurt in downtown Minneapolis at the Nicollet Mall. The various setups helped NBC Sports produce over six hours of pregame programming on Super Bowl Sunday, along with countless hours of programming throughout the week. Even the “NHL on NBC” pregame show came from Minneapolis, along with “Today,” “Mad Money” and “The Tonight Show With Jimmy Fallon,” to name a few. 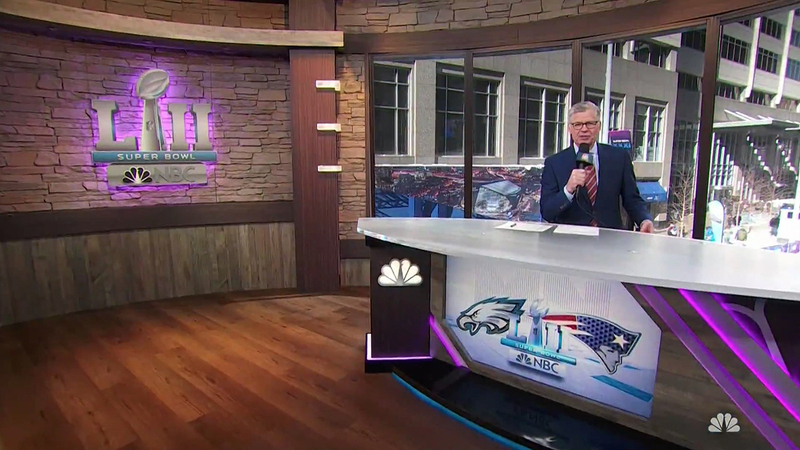 NBC Sports’ main studio, a circular yurt in downtown, played host to Dan Patrick on Super Bowl Sunday, along with a host of guests and analysts. Outside, various cold weather themed activities kept the pre-game show moving, such as when NASCAR driver Dale Earnhardt Jr. raced fellow drivers down a snow slope on an intertube.